The cooling bed of seamless pipe production line has single chain cooling bed, double chain cooling bed, new chain cooling bed, step cooling bed and spiral cooling bed. The single strand cold bed adopts a climbing structure. The cooling bed includes a forward conveyor chain and a fixed guide rail with a drive system. The steel tube is placed between the two handles of the forward transport chain, and the fixed rail bears the weight of the steel tube body. The single strand cooling bed uses the friction force of the forward chain claw and the fixed guide rail to rotate the steel tube, and at the same time, depending on the weight and the lifting angle of the steel, the steel pipe is always close to the forward chain claw to achieve the smooth rotation of the steel. The dual cooling bed includes a forward transport chain and a reverse transport chain, each transmission chain with a transmission system. The steel pipe is placed between the two lines of the forward transport chain, and the reverse chain carries the weight of the pipe body. The double bed cooling bed pushes the steel pipe forward with the thrust of the forward transport chain, and makes use of the friction of the reverse chain to continuously rotate the steel pipe. The movement of the reverse chain also makes the steel pipe always rely on the jaw plate of the front transmission chain to achieve smooth rotation and uniform cooling. Combined with the characteristics of single cooling bed and double share cooling bed, the cold bed is divided into uphill and downhill. The uphill part is a double chain structure consisting of the forward transport chain and the reverse transport chain. The positive and negative interactions make the steel tube move forward and climb. The downhill section is a single chain structure parallel to the progressive transportation chain and the steel pipe, which realizes self rotation by self weight and makes the landslide movement. The step type cooling bed is made up of two groups of shelves. One group is fixed on the fixed beam, which is called static frame and the other is assembled on the movable beam, which is called mobile frame. When the mechanism moves, the mobile rack is lifted, the steel pipe is lifted, and the steel pipe is rolled into a toothed shape when it is raised. After the mobile gear reaches the highest position, the stepping mechanism moves the mobile frame along the direction of the cooling bed output to a step. The lifting mechanism continues to move, driving the moving bracket down, inserting the steel pipe into the stator slot, rolling the steel tube along the tooth tooth again, and moving the frame back to the initial position to complete the working cycle. The screw is composed of main drive, screw and fixed cooling platform. The screw includes screw and screw screw. The working surface of the fixed cooling platform is higher than that of the spiral core and the helix. 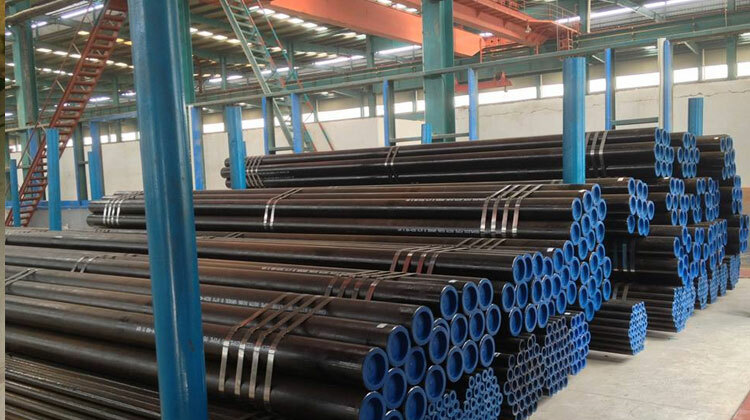 The weight of the steel pipe body is borne by the fixed cooling platform. The main drive drives the screw to rotate synchronously, and the screw on the screw drives the steel tube to roll forward and cool on the fixed cooling table. Single strand cold bed is not suitable for continuous operation, double cold bed is better, new chain type cold bed has good effect and low cost. The step type cold bed is usually used for large or high configuration production line, and spiral cold bed is usually used to cool small diameter seamless pipe.